Dandelion's Mind Power Books include works from some of the country's best known therapists. The late Dr. Michael D. Preston's book, Hypnosis: Medicine of the Mind: Hypnosis: Medicine of the Mind - A Complete Manual on Hypnosis for the Beginner, Intermediate and Advanced Practitioner has become a classic textbook for other hypnotherapists and those who wish to know more about hypnosis as a healing therapy. Known as the “Miracle Doctor,” Dr. Preston demonstrates his expertise as a hypnotherapist after years of personal experience and field research, using precise language and script-style format in a book that is both user-friendly and comprehensive, that can serve as a guide and reference for all practitioners of hypnotherapy and hypnotism and enjoyed by the lay person as well. 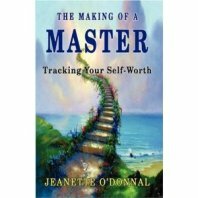 In The Making of a Master: Tracking Your Self-Worth, author and hypnotherapist Jeanette O’Donnal, who is also a life coach and teacher of Mayan healing traditions, shares many ancient secrets or “keys” for opening the doors to greater happiness, self-fulfillment and personal excellence. “By learning to use these keys, you will be amazed to discover how easy it is to achieve everything you truly desire,” states O’Donnal, who is developing a healing center and retreat in southeastern Arizona. Unveil the Past, Heal the Future through Hypnotherapy, by Doris Small Proiette, DCH, Ph.D, relates amazing stories from Dr. Proiette’s clinical records about the healing power of past life regression. Dr. Proiette's work reaffirms the power of the mind and the ability for every human being to release themselves from unwanted feelings and belief systems. Dr. Proiette’s book supports statistics that show Hypnotherapy as the leading technology for helping people heal their issues of dis-ease and dysfunction.